i've been dreaming about gold jewelry, specifically the kind that manages to be both dainty and masculine at the same time. i just want for my hands and arms to be filled with bangly, geometric, stackable rings and bracelets this summer. it seems like the best counterpoint to a very sparse summer wardrobe. (see: my inner minimalist and maximalist at war yet again) maybe i'd throw in a straw hat. know of any good sources for spare, bold, angry, delicate gold jewelry? i'm on the hunt. 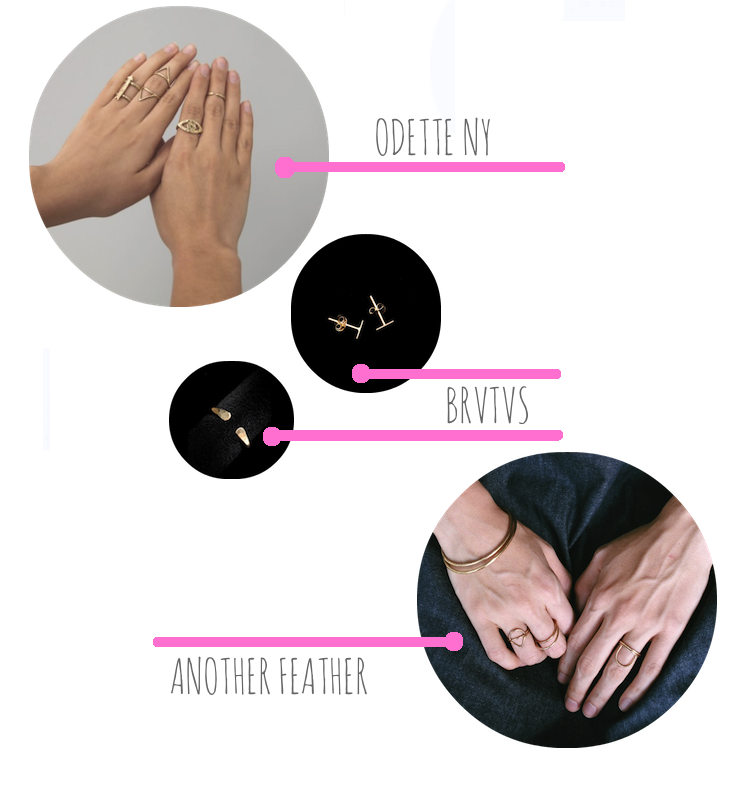 pictured above, favorites from odette ny, brvtvs, and another feather. YEESH. You're right, no one should buy that craptastic crap from the second link...my eyes, MY EYES! Coveting all this jewelry, by the way, it's all kinds of cute. Catbird jewlery has cutest skinny gold rings! They're from NYC I think too! I have some of their promise rings and i never take them off! love the gold dainty rings. i have been on the hunt for some good ones. also.. you are my forever 21 soul sister. thank you for sifting through all the crap to bring us the gems. the maxi and those sandals!!! Ahhh Odette is my absolute favorite! I love Claire Aristides fine jewellery - based in Australia. I especially like the dainty chained horseshoe bracelets and necklaces. I love your blog and have been reading it for years. Sorry I haven't commented, but maybe I'll start now. I wish I had your sense of style. I am four months post partum and feel like a blobby pooh bear. Ah, well, maybe I'll get there one day. i love the idea of regular style and home posts, bring 'em on!! My eyes hurt from the second link! Long time reader, first time comment-ter. I love lots of gold in summer, too. Delicate and simple, then then layered like crazy. I'm new artist, just opened my Etsy shop, maybe you'd like the gold 'element' necklaces I'm doing. 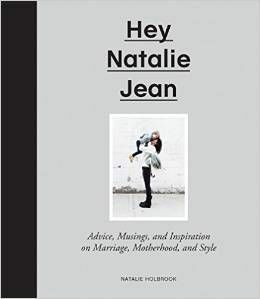 Thanks for this great blog, Natalie. "both dainty and masculine at the same time" SO MUCH YES! As a redhead, I take offense to "the red-headed step child" and since you are in a family of ginger's, I would have hoped you knew that ;) hahahaha. I second catbird! They have a store in brooklyn but you can shop online too: catbirdnyc.com. Also, Steven Alan has some amazing jewelry. Is it just me, when I click the links for the forever 21 posts (which I love by the way) they say "Gallery Not Found." I need my F21 fix, what is a girl to do? I've been loving the dainty gold jewelry lately. So pretty! Those are just the kind of rings I love! Black Mountain Gallery out of NC has the best gold jewelry! It looks like an H, I just ordered one for my Henry! Natalie! I just found you via a friend, and OMG! Love you, your sweet family AND your blog! I have been through early infertility myself and always felt SO alone in that group. So glad to know I am NOT, in fact, alone. Can't wait to keep up with the rest of your adventures! (and if you ever want to look me up, I am at bumproad.blogspot.com) Cheers! SUMMER FACES AND HAPPY WEEKEND!